On It or In It? I have the good fortune to regularly mentor several amazing entrepreneurs. One question I frequently ask is, “how much time do you spend working on your business versus in your business?” A similar question is, “how much time do you spend working on strategy vs. tactics?” Usually the answer to both questions is, “not much.” The problem is easy to identify. Entrepreneurs find themselves sucked into the daily grind of firefighting and there’s no time left to do much else. To solve this we need to understand what prevents us from delegating that which should be handled by others. Do we have the right people on the bus? Do we have enough people? Are the right people properly trained? Are we too high control? 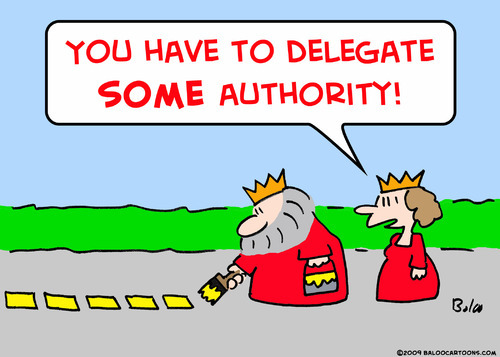 When I have experienced problems with delegation in the past it’s usually been the result of not having the right people to whom I can delegate. Getting to the root cause of our inability to delegate is crucial. If we don’t have the right people, what is more important than solving this problem? One of the nice things about having the right people on the team is the fact that they may not need as much training – bright, right people figure out a lot of things on their own. How is an entrepreneur who has a very small team able to delegate effectively? In other words, he or she is a player/coach and is on the field for every single play. This is where blocking out specific amounts of time to plan and strategize can be invaluable. Perhaps this occurs every morning from 8:00 to 9:00 without fail. During that timeframe, the entrepreneur takes no phone calls or any other interruptions and refines the strategy for the enterprise, reviews key performance indicators and determines if the business is on track with respect to vision and mission. Then the entrepreneur suits up and runs out on the field with the rest of the team to face another day. I cannot emphasize enough how absolutely nothing can be allowed to disrupt this daily routine. We can ill afford to procrastinate when it comes to working on our business because we are too busy working in our business. The more this happens the more likely it is that we’ll get caught on the hamster wheel. Around and around we go as fast as our legs will churn – but we’re not making any headway. Why exert so much energy (and money) to end up right back where we started? Learning how to delegate and hold others accountable will allow us to strategize and envision the future for our enterprise. And sequestering ourselves for a specified period of time every single day will enable that planning and visioning to happen. This entry was posted in Entrepreneurship and tagged accountability, delegation, Entrepreneurial Spirit, Entrepreneurs, Entrepreneurship, planning, strategy, tactics, vision by anentrepreneurswords. Bookmark the permalink.